Cannot see the photos! What must I do? Many of the photos displayed on this site were hosted via Photo Bucket. The company decided to discontinued the free service members enjoyed. Photo Bucket closed the free bit! So we lost most photos. If you wish to post some new photos? I might be able to assist you! Many thanks. I have 5 photos of barracks or part of. I cannot PM you till next week because of this forums rules to give you my email address. How can I access what photos are still able to be viewed? Contact you next week. Ted Jones. I see that I have got my first stripe!!!! It was 20 Jan 1955 the first time around!!! I'm still awaiting your photos to post for you! Pm me and exchange email address. I cannot send my email address. The board keeps saying that I have to be a member for 7 days before I can! I will try again on Friday. CheckyourPM messages section. Itis located at the top of the page. Just scrollupto the Red Blue Shieldwith yellow cross swords. The line below it says Private Messages. As promised. These are Ted's photos . Posted by Alan. I hope I positioned the photos correctly between the text!! was the Brigade Commanders driver. Major Shaw and next to that the 2 i/c. Opposite was the Orderly room. on 113 Coys strength (I think! ), opposite these two the QM Stores. Central Heating pipes under the road! and I think some school teachers. issued with 10 Ton Sud Werkes trucks. The right was the boiler house. camp but often caused problems when the trucks hit the ice outside!!! houses to the right of the Park which was next to the camp. but pretty clear in my mind! 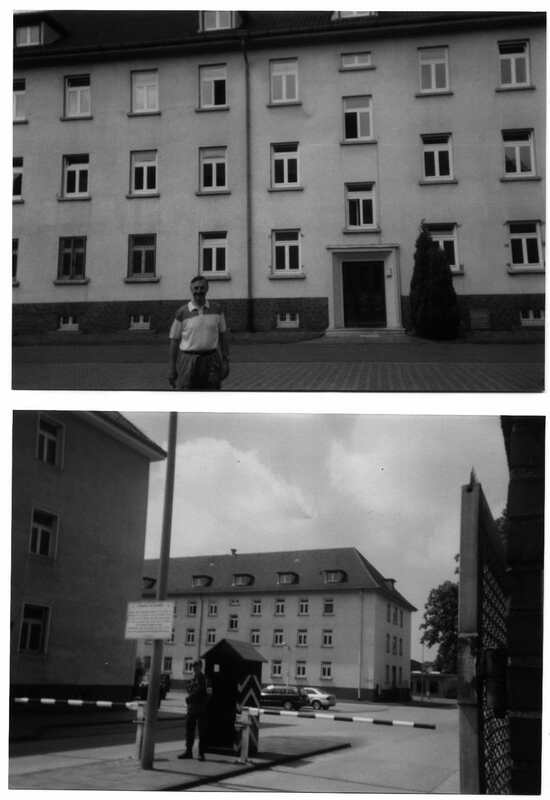 Thanks so much for those photos, my parents had one of those MQs on Steinknappen Str. I attended Windsor Boys School in Hamm for the first year my father was stationed there until I joined up as an Apprentice at AAS Carlisle, where I now live.